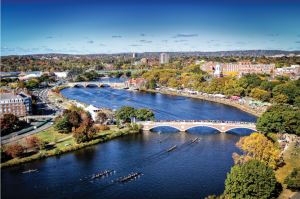 The Head Of The Charles Regatta was held on October 20th and 21st along the banks of the Charles River. The event brought together hundreds of thousands of spectators and 11,000 athletes. Overall, the 54th annual Regatta was estimated to have generated over $72 million in spending impact on the Greater Boston Economy. The event, one of Boston’s most iconic, received extensive local and national press coverage. 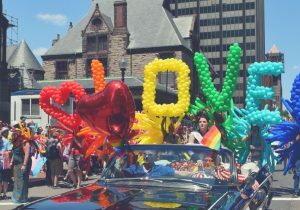 Boston Pride Week 2018 was one for the record books as the 48th anniversary of Pride celebrations throughout the week, including the Pride Parade and Festival on Saturday, June 9, saw almost one million participants at a series of 50+ events. This year’s historic parade included more than 55,000 marchers from 360 contingents who marched along the 2.27-mile route from Copley Square the City Hall Plaza lined with an estimated 750,000 spectators. On October 20th, Ken Casey’s Murphys Boxing Promotions along with Matchroom Boxing USA, transformed the TD Garden into the stage for the biggest night of boxing in Boston’s history. Fans from across the region came out to support the fighters including local contender Mark Deluca, a Quincy native. Katie Taylor, the Irish legend, held off a fierce challenge against Cindy Serrano to hold onto the unified lightweight female world champion title. In the WBO World Middleweight Championship, Demetrius Andrade of Rhode Island captured the vacant title in an exciting main event against Walter Kautondokwa. FANEXPO Boston was held on August 10-12, 2018 at the Boston Convention and Exposition Center. The three day event saw thousands of attendees, many dressed in their best cosplay. The 2018 event featured the 50th anniversary of the film 2001: A Space Odyssey and our #OAonAir team had the special privilege of interviewing the film’s stars. 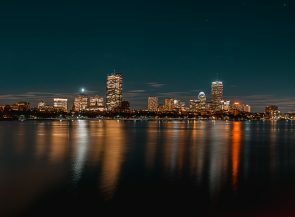 On November 9th, Pollster David Paleologos presented his analysis of the 2018 midterm elections at a special O’Neill and Associates event at the Boston Harbor Hotel. David presented his perspective on the Democrats historic gains in the US House and also gave his thoughts on the 2020 Presidential race. Episode 18: Senator Ed Markey: This special episode of OA on Air featured an extended segment of Two Minutes with Tom where CEO Tom O’Neill sat down with his long-time friend Senator Ed Markey and broke the news that the Senator will be running for reelection in 2020! The duo dove deep into other political topics such as Supreme Court Justice Brett Kavanaugh, the midterm elections and why he takes Trump’s attacks on the environment and net neutrality personally. Episode 11: Boston Harbor Hotel Managing Director Stephen Johnson gave listeners an audio tour of Boston’s largest presidential suite. Also, OA SVP Peter Goelz discussed his career at the National Transportation Safety Board (NTSB) and the unique methods the NTSB employs when investigating transportation accidents and gas pipeline explosions. – Episode 17: Our Woo-Cast talked about all things Worcester! – Episode 19: We marked Manufacturing Month with Bruce Platzman of AIS, a MA-based, rapidly growing manufacturer of commercial office furniture. – Episode 21: Representative Jim McGovern joined us. – Episode 28: Some heartwarming stories for the holiday season. In June of 2018 there were over 2,300 children in this country suffering – suffering because our government intentionally chose to separate them from their parents, detaining them in warehouses and makeshift shelters, apparently sending others thousands of miles away to be placed into foster care. Some broadcast media outlets have played audio of the children’s aching cries and screams. I have personally found it incredibly hard to read a full article or watch a full news segment on the issue. It’s not that “as a mother, this is too hard,” you don’t have to be a parent for this to affect you, the pain felt by these kids should affect all of us. Since the 2016 presidential election, a news cycle barely goes by without at least a cursory mention of ‘bots.’ As Robert Mueller’s Special Council investigation continues to move forward, it has become increasingly apparent that Russian state agents utilized ‘bots’ to successfully sow dissent during this past election. These bots are Twitter Bots, Artificial Intelligence (AI)-powered Twitter accounts impersonating humans. Twitter now estimates more than 50,000 such bots crafted in Russia were utilized by the shadowy Internet Research Agency to sow discord in our electoral process. The Boston Globe organized a movement that united newspapers around the nation behind the message that the media is not the enemy of the people. 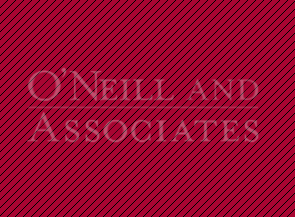 The O’Neill and Associates team includes many former journalists. We released a statement standing behind the #FreePress movement and supporting our friends and incredible journalists who work hard and have dedicated their lives to informing the public with the truth. 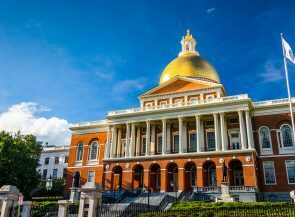 With the emergence of the recreational cannabis market in Massachusetts, our team kept an eye on developments and provided updates regarding the Cannabis Control Commission and more. We unveiled our new website! Not only is the website new, our company also introduced #OAonAir, our weekly podcast, enhanced our social-digital practice, and introduced in-house creative and graphic design services. 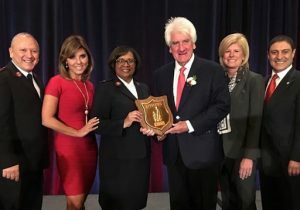 Salvation Army Honored CEO Tom O’Neill with Prestigious ‘Others Award’: In December, the Salvation Army Massachusetts Division honored Tom for his dedicated service as both a volunteer and board member for the organization. Tom first volunteered for The Salvation Army as a young boy when he and his father, Speaker Tip O’Neill, rang the bell outside Filene’s at Downtown Crossing as part of the Red Kettle Campaign. In 2007, he played an instrumental role to help the Salvation Army secure more than $20 million in funding for the flagship Ray and Joan Kroc Corps Community Center in Dorchester. O’Neill and Associates also supports the annual public relations efforts of The Salvation Army. Banker & Tradesman named O’Neill and Associates as its Gold PR Firm: Banker & Tradesman Best in 2018 featured O’Neill and Associates as the top public relations firm. SVP Ben Josephson Honored by Friends for Children: Senior Vice President Ben Josephson was honored by Friends of Children at the annual Advocacy Awards Dinner for his pro bono lobbying work on behalf of the Court Appointed Special Advocates program.